Hand inspected ammunition to ensure consistency and quality throughout the process. 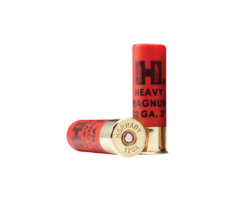 Ammunition engineered to perform flawlessly. Deliver tight patterns with unmatched accuracy. 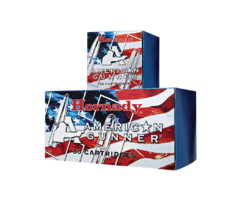 The American Gunner® line is a collection of tried-and-true loads for target shooting, hunting or self-defense needs. 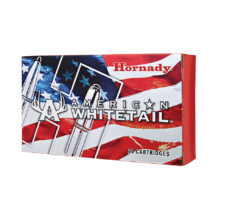 American Whitetail® ammunition combines ballistics know-how with modern components and technology. 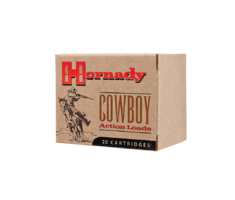 Cowboy Action Shooters demand total reliability from their ammo — and Hornady delivers! 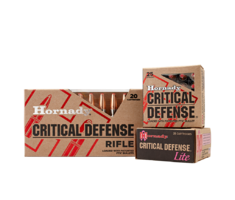 Hornady® Critical Defense® ammunition is the pinnacle in self defense ammunition. 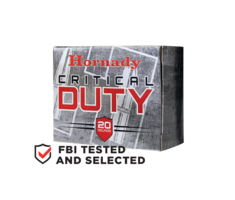 Critical Duty® ammunition provides "barrier blind" performance in full-size handguns. 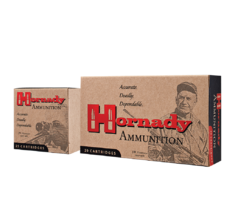 Custom™ ammunition is manufactured to give shooters and hunters the advantage of handloaded accuracy in a factory load. 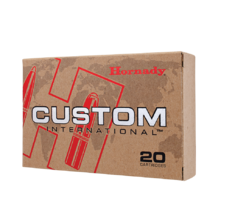 Custom International™ is a tried-and-true collection of versatile, proven loads for the global hunter. 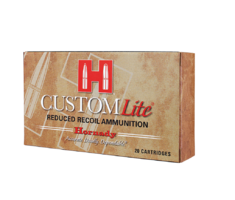 Hornady® Custom Lite® ammunition provides reduced recoil and muzzle blast from the most popular calibers. 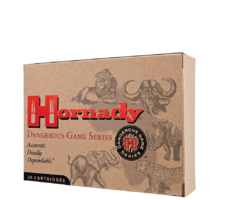 Loaded in a variety of popular calibers, Dangerous Game™ Series ammunition is tailored to meet the needs of the serious safari hunter. 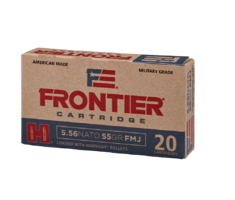 Frontier® Cartridge features Hornady® bullets in a variety of offerings, as well as brass cartridge cases and military-grade boxer primers and propellant. 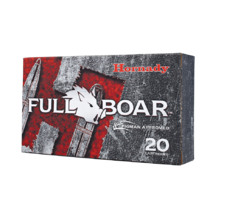 Full Boar® ammunition features hard-hitting GMX® and MonoFlex® bullets for deep penetration and maximum weight retention. 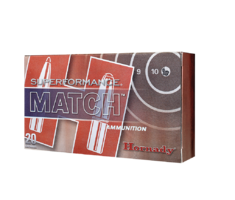 Every component of our Match™ ammunition is carefully selected to ensure uniformity and loaded to stringent specifications to provide pinpoint accuracy. 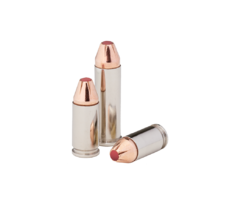 Featuring corrosion resistant nickel-plated cases that are sealed watertight and topped with the accurate and rugged GMX® bullet, Outfitter™ ammunition is designed to perform under the toughest conditions. 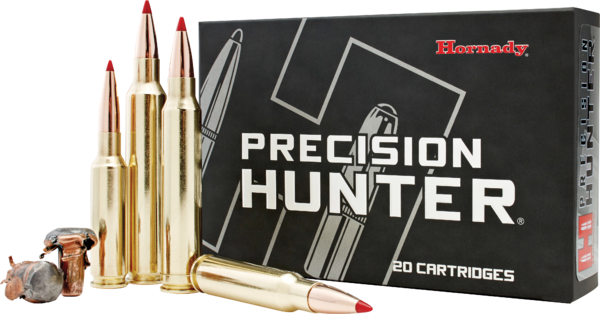 Precision Hunter® is the ideal load for any hunting situation because of its effective terminal performance at all practical ranges. 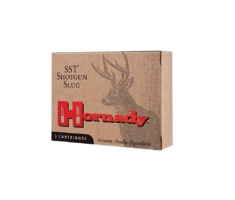 Transform your favorite rifled-barrel slug gun into a firearm that outperforms some centerfire rifles. 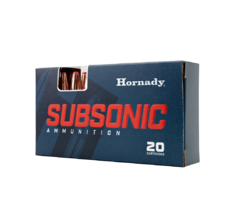 Hornady® Subsonic Ammunition proves that a round can expand at low velocities without falling apart and losing accuracy — and it’s stealthy, too! 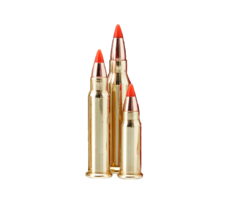 Superformance® ammunition uses progressive propellants that deliver performance that's simply unattainable from conventional ammunition. 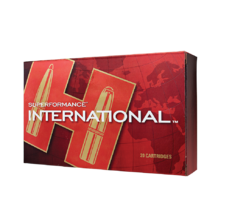 Superformance International® is loaded with the latest GMX® bullets and chambered in the most popular European calibers. 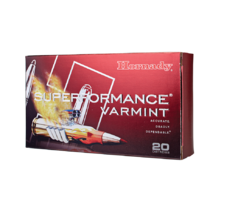 Hornady® Superformance® propellant technology is available in your favorite varmint cartridges. 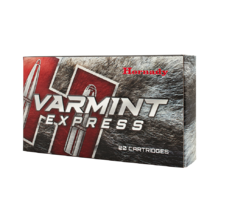 For flat-shooting tack-driving accuracy, there's no better choice than Hornady® Varmint Express® ammunition. 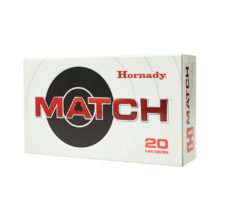 Vintage Match™ ammunition provides superior quality and off-the-shelf match-grade performance from classic service rifles. 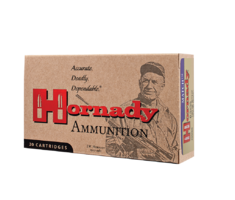 The employees and family management group of Hornady take great pride in leading the industry in ammunition development and advancement. 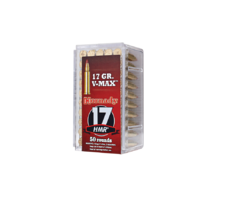 Products such as 17 HMR, LEVERevolution, Critical Duty and Superformance Ammunition have revolutionized the shooting sports and helped to drive the industry. 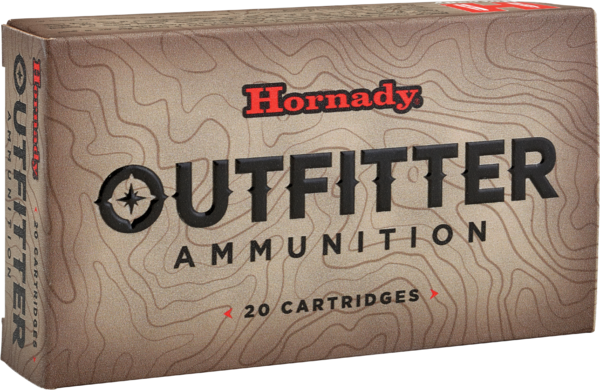 The entire team at Hornady treats every new creation like it is something they would use themselves – because they do. 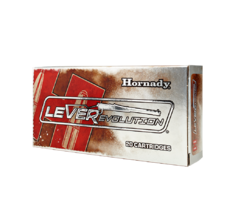 The bullet makes the cartridge, and Hornady bullets are peerless. 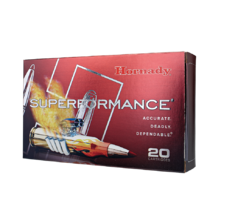 World record setting accuracy, innovative new products, ultra-high ballistic coefficients, unprecedented terminal performance, and lot-to-lot consistency all combine to set Hornady bullets apart from the competition. 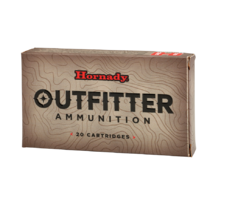 All Hornady ammunition is loaded using premium cartridge cases, with most being made on-site at the Hornady case production plant. 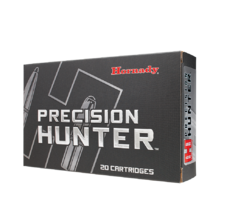 As with all Hornady products, only the highest quality raw materials are used and our manufacturing process and quality control procedures lead the industry in consistency and efficiency. 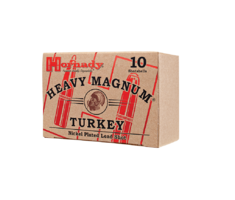 Hornady uses only premium propellants, and isn’t married to one particular powder vendor, so when decisions are made for specific loads, the ONLY consideration is performance. 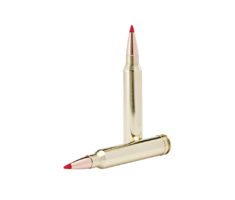 Propellants are chosen for each individual load, and every offering must provide the very best accuracy and temperature stability to ensure that whether you’re hunting in Alaska or Africa, you will get the performance and accuracy needed to take that trophy of a lifetime.